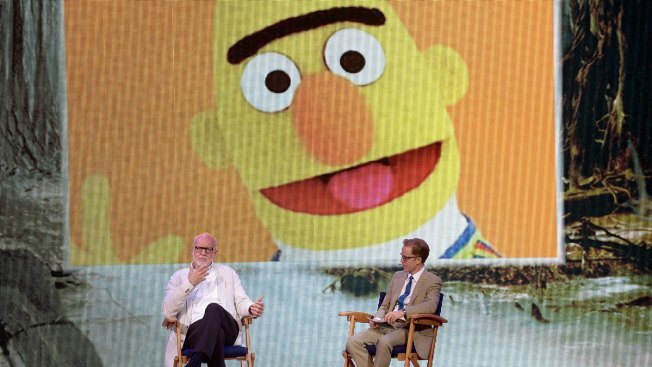 Frank Oz (left) went back-and-forth with people responding to his tweet who asked why the colorful puppets couldn't be gay. Frank Oz is the voice of dozens of puppets and muppets as one of Jim Henson's earliest collaborators — and now the storied puppeteer is lending his voice to the debate over whether "Sesame Street" characters Bert and Ernie are gay. The decades-old discussion over Bert and Ernie's relationship status raged on Twitter after former "Sesame Street" writer Mark Saltzman told blog "Queerty" he wrote the duo as a couple based on his own real-world relationship with film editor Arnold Glassman.